We still have some work to do on permissions and some new feature testing before it's ready for everyone but the buildings are essentially complete now! World Portals - We are using 'Multiverse Portals' to provide 6 portals with destinations in various directions from spawn between 800m and 2000m away, the portals are two way and can be used to return to spawn as well! Player Portals - A limited number of portals (one for each colour of wool) will be available to rent by players of Member+ rank or above, but will only be given if the destination is seriously impressive and beneficial to the player community! 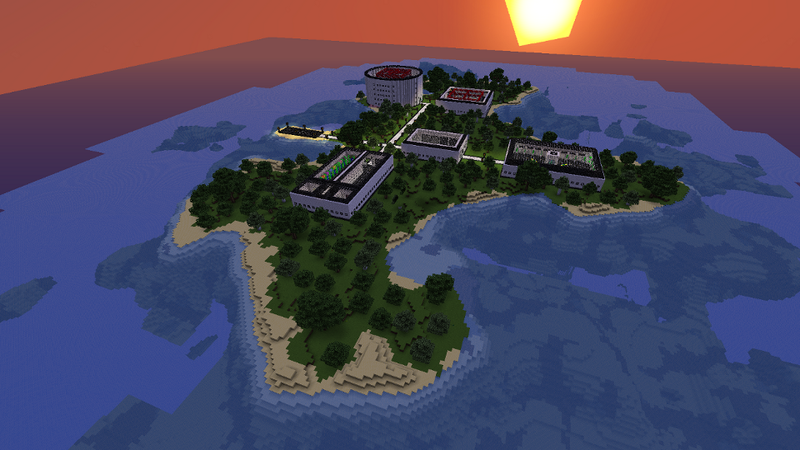 Spleef - Wondering what that big round-ish building in the background is? It's a Spleef arena! We had many requests for this and have managed to build it in a way that any player can easily rebuild the arena floor and reset it for a new match!